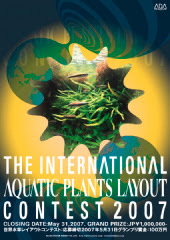 ADA International Aquatic Plants Layout Contest 2007 Closes Today! Just another quick note of ADA news, the 2007 International Aquatic Plants Layout Contest closes today! It's a chance to win one of several prizes: There will be one Grand prize of JPY1,000,000 (a little over $8,000! ), one Gold prize of JPY300,000 (about $2,500), two Silver prizes of JPY100,000 (about $800), three Bronze prizes of JPY50,000 (about $400), twenty Honor prizes of JPY10,000 (about $80), and 100 Winning works which will receive a certificate. We should know the results in a few months and I'm really interested to see what new ideas and techniques spring up. 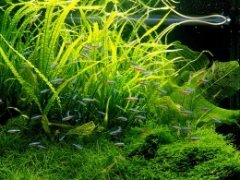 In case you missed them, here are last year's Top 10 aquascapes.